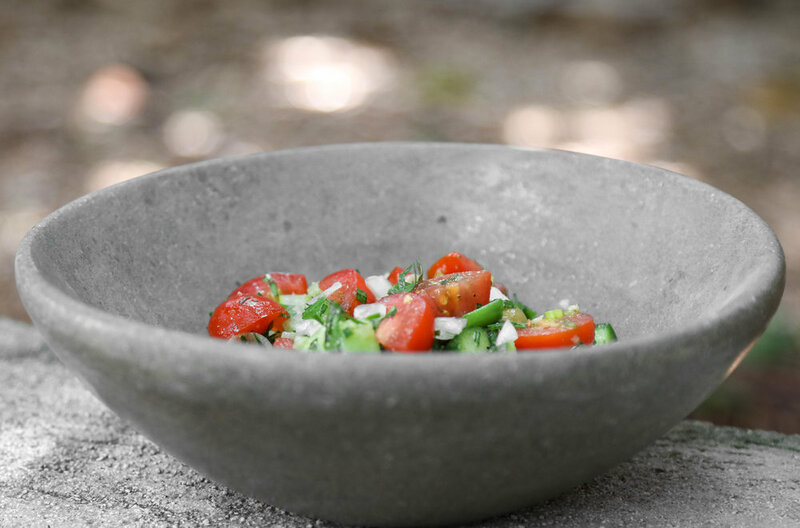 Mix together the salad ingredients (cucumbers, tomatoes, green onions, onion, green olives, and parsley) in a large bowl. In a small bowl, whisk together the dressing ingredients (olive oil, lemon juice, garlic, zatar, mint, salt, and pepper) until evenly mixed. Toss the salad with the dressing and serve within a few hours.